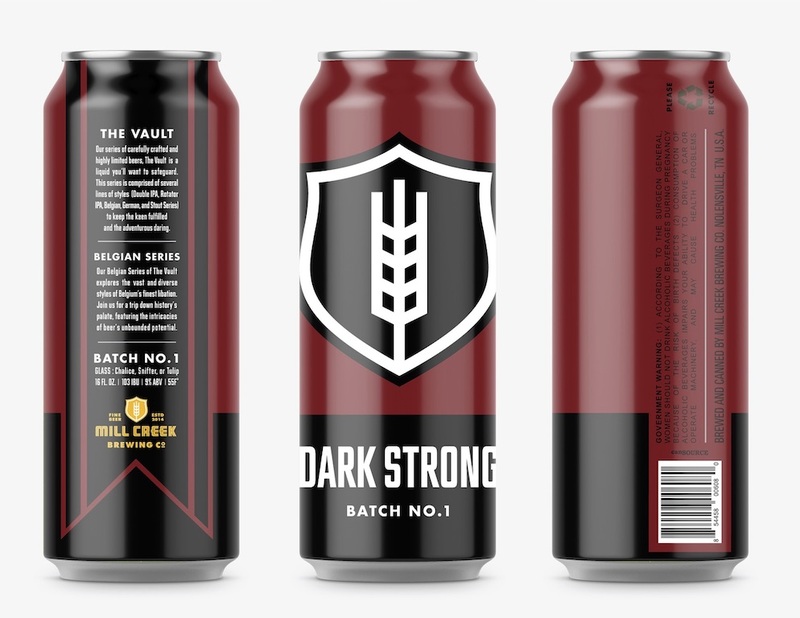 (Nashville, TN) – Mill Creek Brewing Co. is excited to announce their newest beer series, The Vault. 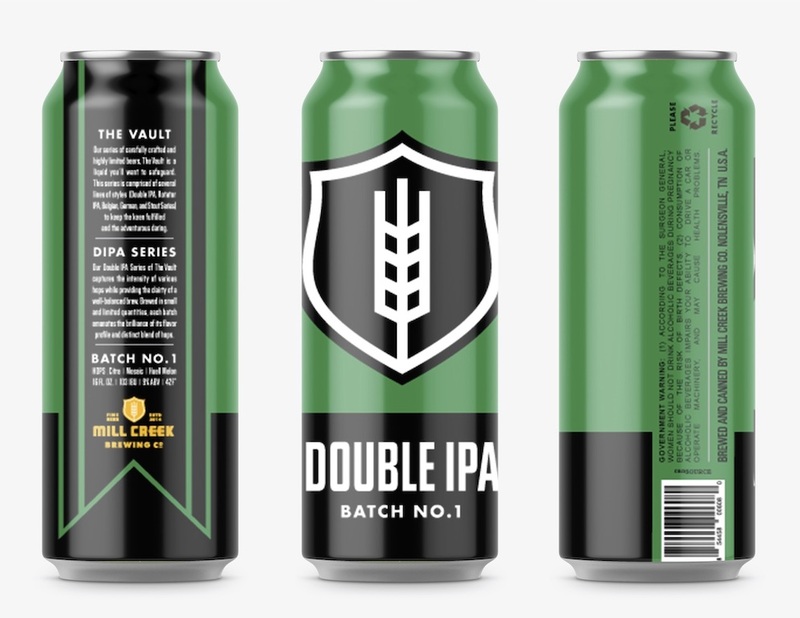 A series of carefully crafted and highly limited beers, The Vault is comprised of several lines of styles – Double IPA, Rotator IPA, Belgian, German, and Stout Series – to keep the keen fulfilled and the adventurous daring. Each line of beer styles within The Vault will explore the vast potential of that respective style. Whether it’s the myriad of hops and their infinite combinations explored in the Rotator IPA line, or the historic and meticulous brewing styles explored in the Belgian line, The Vault is Mill Creek’s study of beer’s unbounded offerings. Each small-batched beer will be brewed once, with each batch boasting a completely new flavor profile. The Vault will be available in four-packs of 16 oz. cans. Each Vault beer will have an initial taproom release, with an extremely selective and limited release in their distribution territories (Tennessee, Kentucky, and Alabama). The first Vault beers, Double IPA Batch No. 1 and Dark Strong Batch No. 1, will be released mid-November. About Mill Creek Brewing Co.
Mill Creek Brewing Co. is based out of historical Nolensville, TN, just south of Nashville. They specialize in brewing drinkable and approachable craft beers, full of flavor and accessible to all. It’s beer at its finest, stripped of pomp and privilege, bare-boned, but bold. It’s the beer you can drink all day and never get tired of. At Mill Creek, it’s all about the beer. They carry out their “Less fuss. More beer” attitude from their 27,500 sq. ft. facility, designed specifically to create and churn out gallon upon gallon of delicious beer. Mill Creek Brewing Co. currently distributes their beers in Tennessee, Alabama, and Kentucky. You can find out more about Mill Creek Brewing Co. on their website www.millcreekbrewingco.com or on Facebook, Instagram (@MillCreekBrewCo), and Twitter (@MillCreekBrewCo).